Posts Tagged "Board Meetings in Kenya"
Home Posts Tagged "Board Meetings in Kenya"
Kenya Electricity Generating Company Limited (KenGen) with an installed capacity of 1,631MW is the leading power producer in the Eastern Africa Region. Established in 1954, the company employs over 2,500 people and commands a market share of about 69%. The key to its survival has been the ability to change with the times. And doing that requires an effective governance approach. The company has eleven board members, seven of who are non- executives and 5 board committees with 4 -5 members each. KenGen board meets physically at least eight times a year, including a board strategy conference while its committees meet quarterly or more often in accordance with the requirement of business. The board’s lineup of meetings calls for extensive information to be generated in advance. KenGen old approach to board meeting materials was to create paper-based packs that could be quite large and then deliver them physically to each board member across the country. 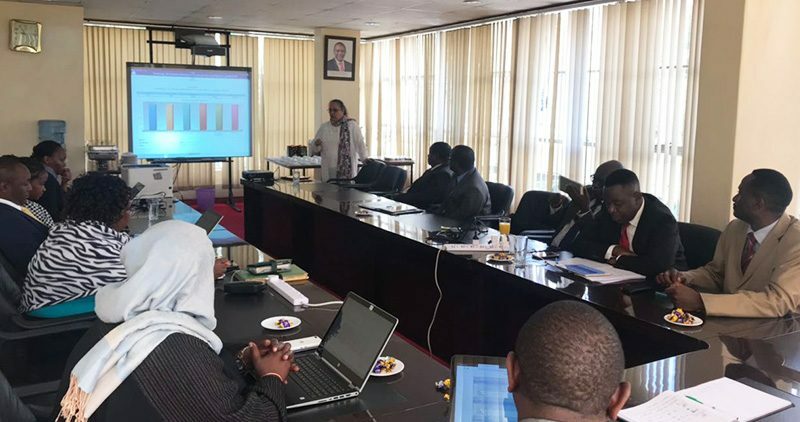 According to the Board Services Assistant, Afline Onyango“ that added up thousands of shillings in distribution cost annually, in addition, other staff cost and time spent in collating and copying each report. The effort needed to produce board materials occupied as many as three people with photocopying, binding and collating – in what Judith Ndegwa, Board Services Officer referred to as “a nightmare process.” “We would have the boardroom booked for 4 – 5 days to spread the papers everywhere,” she adds. On the user side, the situation was equally unmanageable. Board packs ran up to 500 pages each. And when an exceptional issue arose, like approving a prospectus or reviewing an annual report that number doubled or even tripled so that reports at times ballooned to 800+ pages. Add in papers of average 130 pages for board committee sessions held alongside the board meeting, and directors often travelled with files full of paper. Security was also an issue when it came to paper board packs. Sometimes the packs would be left with the secretaries of Directors. Disposing copies of older papers was challenging. “A few Directors would return them for shredding while majority stored them in their houses and the company would lose track of what happened to them,” explains Samuel Karema, Information Services Assistant at KenGen. With the effort and expense of creating paper-based board packs mounting, KenGen began an extensive research into finding the most suitable solution able to meet their needs. They vetted several solutions from leading board software providers and settled for eHorizon eBoard. What board members liked most about eHorizon eBoard was the easy to use interface combined with a single view of all aspects of the Board from Minutes & Agendas through to Director Evaluation and Compliance as well as board calendar on their iPads dashboard. Another top priority feature KenGen was evaluating was security. They were impressed by eHorizon eBoard security standards and extensive measures of data protection, control, availability, and application security that make sure that the integrity and confidentiality of the information is maintained. eHorizon eBoard has made life easier for the board administrators. For Judith, the flexibility of eBoard is a heaven on earth. “So often, information arrives very late and we are in a rush. We used to stay in the office until 11.00 am to review and prepare information. Now, I receive information digitally and in the comfort of my home, I can upload and update the information available on an ongoing basis then share at the click of a button and directors will be notified.” What took up to 5 days, now takes minutes with the eBoard solution. 120 Days – Number of days saved in administrative work preparing board and committee meetings packs every year, in addition to the board going green; saving 6 trees annually from eliminating the printing of 53,617 pieces of paper board packs. Whats more, Board members have their folders arranges by session and a date making it easier to refer to previous sessions, make enquiries into changes and keep more accurate records. In addition, eBoard allows collaboration and supports better decision making. Board members have at their fingertips, the most up-to-date information for current meetings and can also readily access an archive for key papers and minutes over the last years. Further, “the iPad use is very intuitive and learning to use it is quite easy. Recently, our new Company Secretary was able to capture minutes using the eBoard system without any formal training and for the first time; our minutes were ready immediately after the board meeting,” explains Mr Karema. It’s also a good reference point. “Recently I was searching a circular number for the year 2015 and it was so easy to find. I just typed the date and I found it in seconds” explains Judith. According to the bylaws of a company, board meeting notices have different protocols for how and when to be posted depending on the type of board meeting. Giving notices of board meetings is crucial for effective governance as it enables board members to plan and prepare to attend the meetings and be productive. Serious consequences can arise if no notice is given for a meeting especially if important decisions are to be made during such meeting. Meeting attendees may fail to attend due to unawareness and may, therefore, dispute the decisions made during the meeting in their absence. Furthermore, notices of meetings act as written documentation that a meeting was called for. Companies should implement best practice drafting methods for notices of meeting. These include clearly communicating relevant information using simple and plain language and using a structure and layout that guarantees ease of understanding and readability by board members. Companies can provide board members with more secure and immediate access to notices and other board information by using the digital technologies of board portals designed to manage all aspects of board meetings and effective governance. The notice of a meeting may be different in structure depending on the type of meeting such as regular meetings, annual, special or adjourned meetings. Regular meetings are common in most organizations. The bylaws of the organization should clarify how the notices of regular meetings should be prepared and posted. In regular board meetings, board members discuss and vote on many issues. If voting is to take place in the meeting, it should be clearly stated in the notice. There are many important activities that take place in an annual meeting like the election of new board members, making important decisions concerning the organization, reviewing reports and activities of the year, and making new resolutions. While writing the notice of an annual meeting, the agenda of the meeting and the minutes of the previous meeting should be attached to the notice. Special meetings always require prior notice since they are called for outside the regular meeting timetable. For a special meeting to be conducted, it has to be affirmed in the bylaws of an organization. To be safe, ensure your bylaws clearly state the time frame that the notice of a special meeting should be given. Since special meetings only occur when there is an urgent matter to be addressed before the next regular meeting, the special item should be included in the notice. An adjourned meeting takes place if a previous meeting ended without all the agendas being addressed due to a shortage of time. The adjourned meeting continues from where the previous meeting ended. The bylaws of an organization should guide on how and when the notice of an adjourned meeting should be disseminated. Companies should endeavour in creating and sending notices of meetings to board members using technologies of privately hosted secure board portal such as eHorizon eBoard. 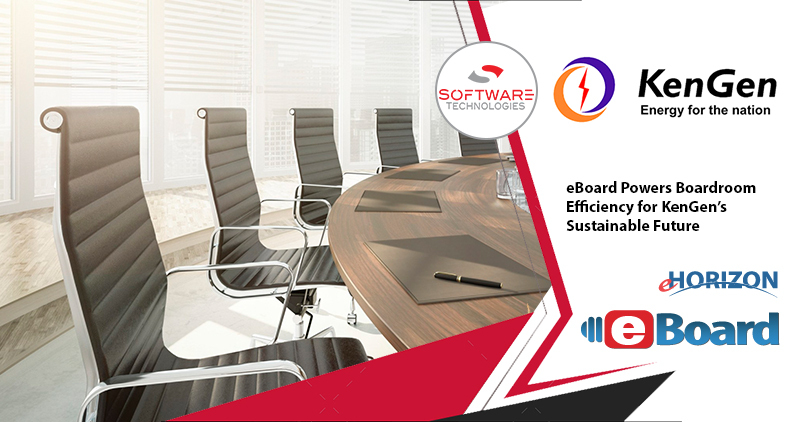 eHorizon eBoard is a governance solution that simplifies the creation and sharing of notices to board members. A calendar feature allows board and committee members to view all approved notices of meetings. Directors can find any future meetings they are required to attend and in case of any change, they get an automatic notification through SMS. Further, the system provides a central repository of all meeting notices and other board documents for future reference. It eliminates printing saving companies thousands of papers and distribution costs. “We like eBoard because it’s simple for me to create minutes from scratch or start from an existing board pack and have lists of attendees, dates and meeting topics added automatically to the minute’s template. It has made it easy to share documents at the click of a button and for the board members to always review the latest version of the documents,” Connie Ngachu – NTSA Legal Officer- Directorate of Legal Services. The National Transport and Safety Authority (NTSA) is a statutory body of over 700 employees and 17 centres across Kenya established to bring about sanity on our roads. NTSA harmonizes the operations of the key road transport departments and helps in effectively managing the road transport sub-sector and minimizing loss of lives through road crashes. The organization’s 12 members governing board of directors 6 – 8 times annually while its four committees sit between 24 – 36 times every year. NTSA has streamlined its operations and processes to ensure it works efficiently for the public. More than 32 directors, senior executives and administrative staff use over 105 separate meeting packs per month, some maintained daily. eHorizon eBoard solution supports NTSA’s executive communications platform, enabling more mobile, efficient access to information and timely decision-making. Prior to making the digital switch to a board governance platform, the NTSA board administrators faced challenges in the process of collating and sharing materials for board meetings. Everything was going back and forth via email,” says Ms. Connie Ngachu, Legal Officer- Directorate of Legal Services NTSA. “Our board books in the past were created as PDFs, but large email files would bounce yet some were urgent. Further, there were often a lot of updates — sometimes at the last minute. That meant I had to email each updated PDF to the board directors who had difficulty keeping track of the latest version,” she adds. Then the administrative team would print the meeting materials – averaging 700pages per board pack and 250pages for committee packs – and manually insert tab dividers and email or courier them to directors. “It was hectic. We spend a whole day printing and sometimes the machines would break down, so we issued a print notice in advance to other departments,” explains Ms. Ngachu. While researching board governance platforms, NTSA learned that several executives and board directors had used eHorizon eBoard with great results. After evaluating other vendors and seeing STL’s eBoard demo, the choice was clear for NTSA. NTSA Board is now saving 104 hours of administrative work, over $1,563 of printing costs, in addition to saving 17 trees from paperless meetings every year, using eHorizon eBoard. The National Transport and Safety Authority (NTSA) have seen a variety of benefits since partnering with eHorizon eBoard. “We like eBoard because it’s simple for me to create minutes from scratch or start from an existing pack and have lists of attendees, dates and meeting topics added automatically to the minute’s template, ,” says Connie. Whats more, “it’s easy to share documents at the click of a button and for the board members to always review the latest version of the documents,” she adds. “Email notifications and SMS alerts sent to meeting attendees have eliminated follow up calls and blame from board members not receiving meeting materials,” she adds. “It’s also easy to create a library of historical documents that Directors or board administrators can refer to for critical information necessary for governance if needed,” she adds. With the new modules looks forward to continuing to partner with eBoard. “Our board of directors loves eBoard. They receive email and SMS notifications when something is there, and they know where to find it. I also don’t have to worry or follow up if a Director received or not as I get automatic notifications upon receipt of the documents. Simple as that,” Connie says. Dorcas Karuana is the Marketing and Communication Manager at Software Technologies Ltd.
One of the biggest business revolutions in history is happening nowadays: the digital transformation of companies across industries. Digital environments democratize opportunities for both small and large organizations, as they are openly accessible. Organisations have found in innovation a new engine for the road to success. To achieve this goal, businesses must invest in emerging technologies; embrace innovation and maximize their capacity for adaptation in all layers of their business, especially their executive teams. Digital transformation is the strategic opportunity to incorporate new technologies and processes so that the business becomes more efficient and open to new opportunities. Companies like Facebook and Whats App grew to be among the biggest companies in the world in less than a decade thanks to digital technology. What is the path towards Digitizing Meetings? Digital meeting management is gaining space in the meeting management area for companies in Kenya. The possibility of implementing new technologies to traditional meetings is not a new idea. Many organizations have taken a step toward the digital boardroom by emailing PDFs of board documents or having members access a file-sharing or public cloud service (compared to a privately hosted board portal service). However, these came as a first technological wave. Now, we have specific digital solutions that integrate everything in a one-and-only product. Digital tools bring clear benefits for both the Board administrator and Directors and are a valuable asset for Board meetings. First, with more company directors becoming comfortable using tablets, including iPads there is an opportunity for digital apps to help make board meetings more efficient, organized and productive. In addition, digital solutions are helping tackle the main challenges boards face today; ensuring the preparation of meetings and provision of pre-read material in less time and in simple ways, instead of the paper-based approach. Meeting materials can be assembled into board packs in minutes saving several days of work and time for administrators and tens of thousands of dollars per years in costs for printing, binding and distributing hard copy board packs. Another benefit of digital solutions for the board is increased flexibility because it is easier to enhance, modify, add or update documents. Directors are always viewing the most recent version. One of the greatest mistakes that most CEOs make is to spend time during board meetings giving updates. While bringing your board up to date is crucial, such updates can be sent beforehand so time is only spent on discussing action plans. Sending updates in advance also gives our board members time to digest on the information and think through issues and of course, we know that any meeting is more fruitful when everyone comes prepared! Additionally, the meetings’ participants can be reached and they can access their files anytime, anywhere; administrators can monitor whether the information aimed at participants actually reached them. In addition to securely sharing board packs, Board Portal technology seamlessly integrates with calendars and email for voting and approvals eliminating courier distribution of board packs. eHorizon eBoard is a subscription-based service that allows boards to share information and collaborate. It provides secure digital storage of the documents used by an organization’s board of directors, including reports, spreadsheets and exhibits for the next board meeting; archives from past meetings; board resources such as the bylaws, committee charters, and succession plans, and board calendars and directories. New features provide boards with an opportunity to make meetings more prepared and therefore more efficient. For example, eBoard portal makes it possible for directors to poll board members on ideas prior to meetings. This allows directors to gauge opinions on proposals prior to meetings. Directors and executives can then prepare responses and hold meetings with a grounded understanding of the current state of play. Lastly, new technologies improve the way we conduct business meetings in the future. Have you heard of Virtual Reality (VR) technology? This one example of the type of technology in board portals that could improve productivity in meetings, by allowing participants to effortlessly join an online meeting and communicate with peers from anywhere in the world with one click of a button.